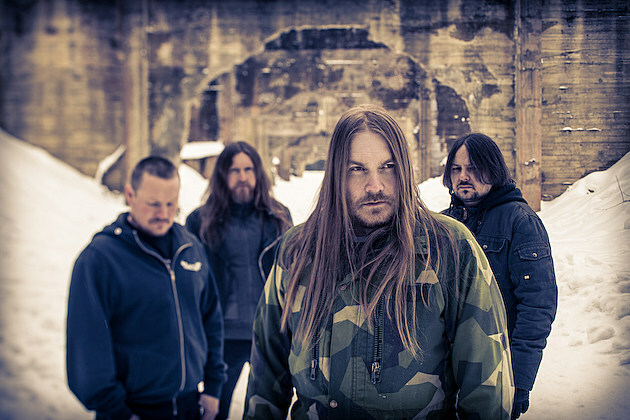 Made up of veterans of the Norwegian black and thrash metal scenes that have done time with Satyricon, Ihsahn, and about a dozen other bands, Sarke falls into the supergroup category. The eponymous band of Tulus/Khold/ex-Old Man’s Child drummer Sarke, Sarke has Darkthrone‘s Nocturno Culto on vocals—so there’s that, too. Sarke has brought a gruff, stripped-down approach to black metal since the band’s 2009 debut album, Vorunah. Back then it was just Sarke (the man) and Nocturno Culto in the band—the lineup didn’t flesh out until 2011’s Oldarhian. Though Sarke grew in numbers, the commitment to sinister and primitive music (“Primitive Killing”, anyone?) didn’t. Aruagint, Sarke’s third album, is ugly—there’s even a song called “Ugly,” with the awesome refrain “Cause I’m ugly!/Ugly as hell!” An early favorite is “Icon Usurper”, a steady stomper over which Nocturno Culto’s gravelly voice bleeds. Aruagint is out today in various parts of Europe, and is available September 23 worldwide on Indie Recordings. Stream it below.